Better Safe Than Sorry: Surgeons Get Help Counting Sponges : Shots - Health News Computerized systems for tracking equipment in operating rooms can reduce errors that hurt patients. The Mayo Clinic in Minnesota hasn't lost a sponge inside a patient in more than a year and a half. Surgery is tough enough even when everything goes perfectly. But if the surgeon leaves something inside you, well, that's just plain bad. Those leftovers can lead to infections, pain and other complications. Then there's the possibility of another operation to retrieve the stuff. Now, more operating rooms are being equipped with new gadgets to avoid misplaced equipment. 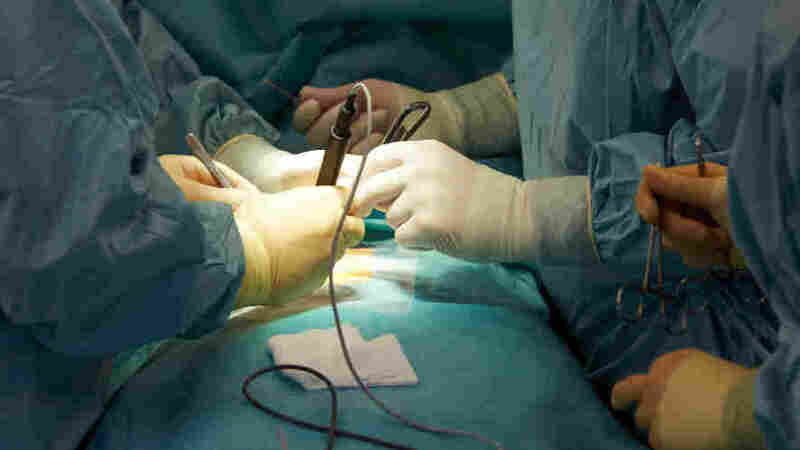 Some research indicates about 1 in around 1,000 patients undergoing abdominal surgeries wind up with an unintended souvenir. A push to improve quality has put mistakes like those on a list of "never events," errors that just shouldn't happen -- ever. Medicare and some private insurers won't pay hospitals to fix them. And, these days, there's pressure to make hospitals publicly disclose how often these egregious errors occur. If you look at the bands around these packs, you can see the codes a scanner reads to keep track of the sponges. 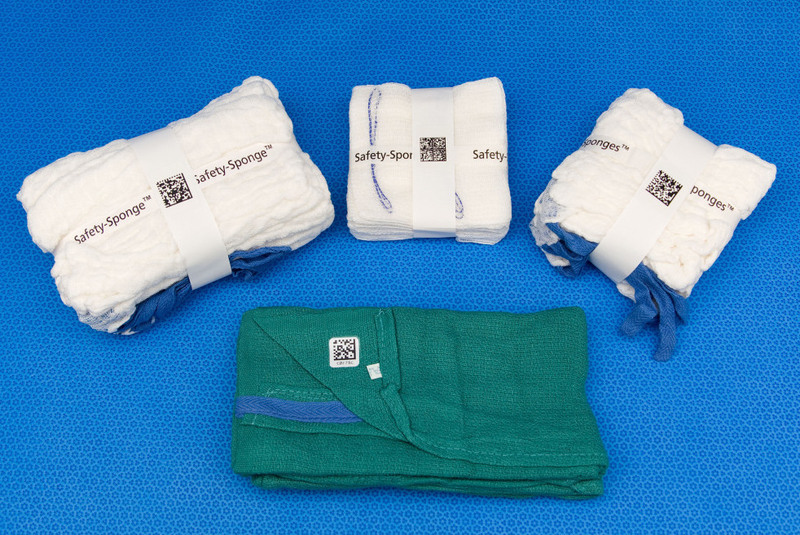 The most common culprits are surgical sponges, really cotton gauze towels, used to sop up blood. They come in packs of five or 10 and, depending on the operation, a half-dozen or a hundred can be used. While it's standard practice for doctors and nurses to count the sponges that get used during a case, it's pretty easy to make a mistake. But technology can help. At a meeting of the American College of Surgeons in Washington, D.C., Dr. Robert Cima of the Mayo Clinic in Minnesota showed that a computerized system for tracking sponges has virtually eliminated the problem there. In early the part of the last decade, a sponge got left behind at least once month. After Mayo attacked the problem, it happened about every other month. Mayo does about 60,000 operations a year, Cima said. Every sponge comes with a unique tag. A computer scans them when the sponges are opened and again when they're going to be thrown out. At Mayo, the computerized system is a backup to the manual count still kept by the people in the operating room. If all the numbers match, no problem. If they don't, the hunt begins. Since early 2009, when the computerized system got rolled out at Mayo, Cima says there hasn't been a single sponge left in a patient. How many sponges has the clinic used? Cima knows exactly: 1.8 million. The technology adds about $13 to the cost of each operation. Mayo has decided it's worth it. While the savings are hard to tally, the scanning system improves safety and cuts down on potential legal costs. A retained sponge is "a very rare event, but it can be a catastrophic" problem for patients, Cima told Shots. After a few operations for surgeons and nurses to get the hang of the new system, it can save time in the OR. Cima said the findings have been submitted to a peer-reviewed journal for publication. 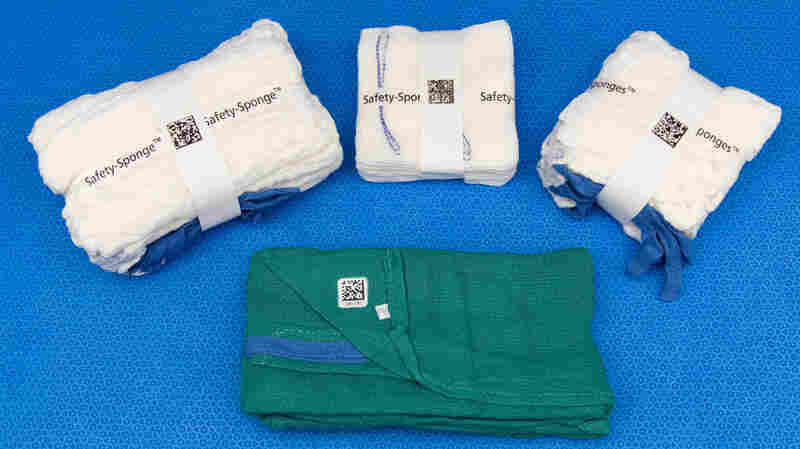 At a separate presentation at the same surgery meeting, a group from the University of North Carolina showed how radio tags helped medical personnel find stray sponges. Even though the problems with sponges aren't all that common, the surgeons say they can't be tolerated. "You have to shoot for zero," Dr. Clifford Ko, a professor of surgery at UCLA and director of research at the American College of Surgeons, tell Shots. "Getting down to one is not good enough."